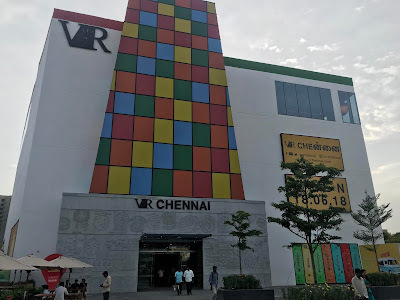 It was long pending but took a drive all the way up to the latest entrant in Chennai, the newly opened (partially though) VR Chennai, a Retail Centre spanning over 6 lakh square feet (in the first phase) adjoining the outer ring road, just outside the acceptable (hic!) city limits. Planned and executed by Virtuous Retail, a Mall Management Company which has its Mall's presence at Surat, Bangalore and Punjab, the Centre is almost an oasis, what with a fantastic spread of Retail, F&B and Entertainment Opportunities in the anvil. The Mall is located north of Koyambedu, west of Anna Nagar and just after the Arumbakkam flyover. That this place existed for a huge strcture such as a Mall to come up came us a surprise to many in the city including a lot of Retail Professionals. So why does Chennai need yet another Mall while the existing ones are not providing double digit returns to Retailers? Why yet another Multiplex while the number of cinema goes has been steadily decreasing over the years, thanks to alternate entertainment options such as OTT Apps? Why should Brands invest heavily in yet another Retail experiment (of sorts) while the existing Retail spaces are yet to be fully sweat? Frankly, I have no answers on behalf of the whole of the Retail Fraternity. But here are my observations. 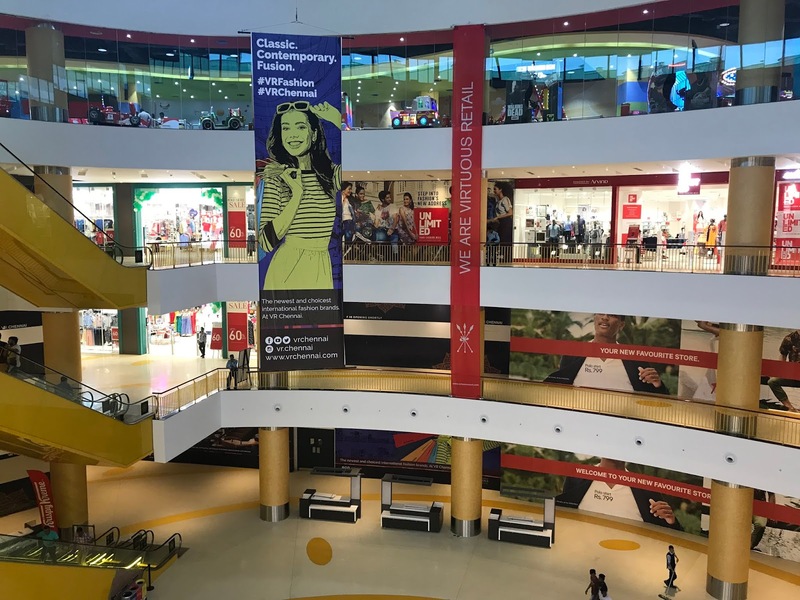 Chennai has historically been a high-street market, despite the so-called evolution and revolution of Malls and Shopping Centres in India since 2006. One of India’s first shopping centres came up at Chennai in the late 1990s – the iconic Spencers Plaza. 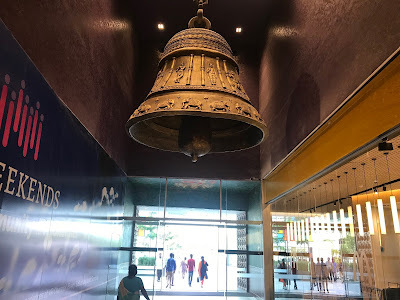 It was a welcome break for shoppers who would otherwise throng the likes of T. Nagar, Purasawalkam fraught with heat and humidity while Spencers (as it was nicknamed) was the first a/c mall in India (Crossroads was just coming up in Mumbai but had entry restrictions while Ansal Plaza in Delhi was non A/c). Spencers was a super hit from day one with the second and third phases coming up in bursts but that’s when the High street Market continued to dominate and thanks to a property-ownership model at Spencers, leasing larger spaces was a challenge. And the mall slowly lost its sheen. 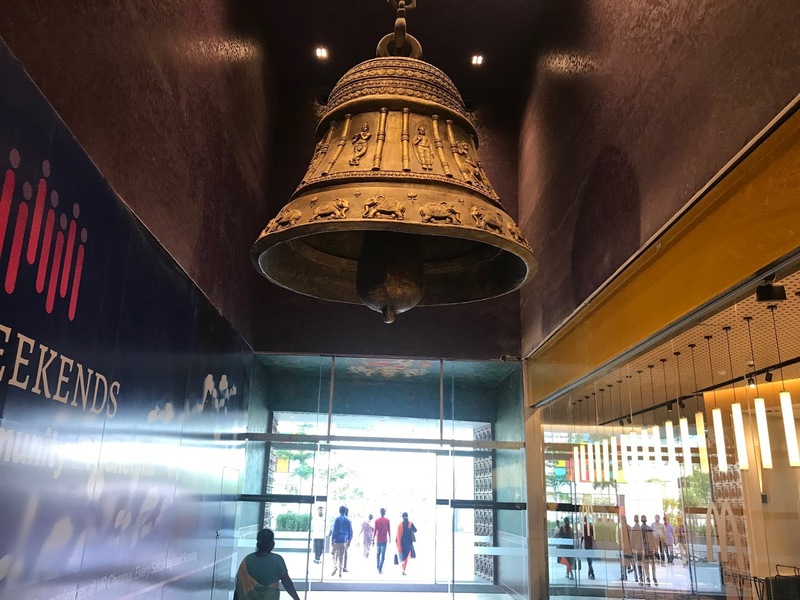 For a city of its size, there are just three malls of a reasonable size & scale - Express Avenue, Phoenix Market City and Forum Vijaya Mall which together have about 20 lakh soft of actual Retail (minus the Cinemas). Interestingly, these three Malls form a nice Triangle while seen on a Map. 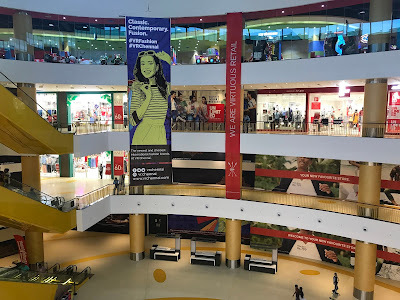 The earliest entrant City Centre (Mylapore) failed due its own inefficiencies while the Ampa Mall (Arumbakkam) did quite well in its early years and slowly added fatigue & monotony; A suburban Grand Mall (at Velachery) sitting on a gold mine lost due to internal challenges of choosing the right sort of Clients. Then there is a Marina Mall on OMR which is yet to take off fully while the Spectrum Mall at Padi is a non-starter. MARG, the construction to research conglomerate lost out on a fantastic opportunity with it’s Mall structure half complete and lying idle for more than 5 years. So why a new Mall now? 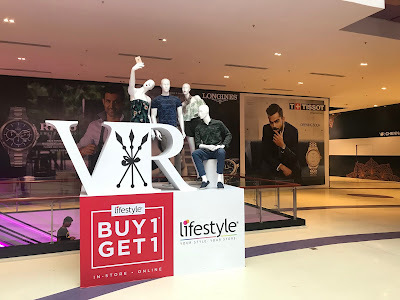 I personally think that this Mall is a breather for Shoppers to avoid the congested bylanes of Anna Nagar and its periphery and head to this wonderful premises instead where they get an equal share of shopping, dining & entertainment. For Retailers, this is a boon come true of sorts. Reason: The city had expanded in the deep south on OMR a decade back; it expanded towards Tambaram five years back. However, the western suburbs have been neglected for long. With so many thousands of people heading to work all the way up to Sriperumbudur daily, there is a huge chunk of middle class settlement happening in this part of the city. Also, there are very few options where a discerning Shopper gets satisfied with variety which VR Chennai is sure to offer. I hope PVR Cinemas open soon, with a slew of films slated to release starting with Kamal Hassan’s Viswaroopam in August all the way up to November when Superstar Rajnikanth’s 2.0 will release after the recent Kaala. Now the question is will they be able to fill the cinemas, especially with newer challenges every day. Multiplex & Movies - Convenience or Complex? Food E-Commerce – Disruption or Disaster?